There are many institutions that offer quality online MBA degree programs. An MBA is in great demand as more and more people want to explore new areas of study and potential careers in management and administrative positions. This degree has some of the most specializations of all graduate degree programs. It gives individuals the opportunity to choose an area of focus from the following: sports management, hospitality, risk management, organizational management, health care administration, technology management, Executive MBA, criminal justice, accounting, human resources management, entertainment management and education administration among others. Enrolling for an MBA guarantees that you’ll have the skills needed for top-level positions in your career. You’ll also have better chances of finding employment. We ranked Washington Adventist University as a top best value college offering an online MBA degree. The degree can be earned in 12 months if one opts for the condensed program. The MBA program teaches students skills that they can use to provide business solutions. They learn advanced practices and theory in business. They are required to complete 13 courses which include Corporate Finance, Managerial Accounting, Marketing Management, Strategic Management and Management Communications. To be considered for admission, the applicant has to have completed prerequisite courses and attained a grade B minimum in Math 110, Principles of Economics and Principles of Accounting I. Further, they must have completed an undergraduate program with at least a 2.75 GPA, and submit a professional resume. The tuition cost per credit hour for the MBA program is $595. The university is accredited by the Maryland Higher Education Commission. 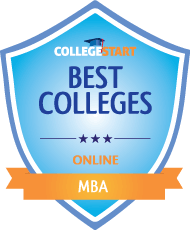 Bryan College is one of the best affordable colleges for a quality Online MBA degree program according to our ranking score. Students get to explore real-world business solutions from a Christian worldview. The school offers an MBA in General Management program, which is accredited by the International Assembly for Collegiate Business Education (IACBE) and can be completed in 18 months. Students are required to complete 36 credit hours on courses such as Management and Leadership, Quantitative Methods for Business, Managerial Economics, Biblical / Worldview Principles of Management, Financial Management and Business in a Global Environment. The program is designed to help develop your leadership skills. You get to learn how to apply Christian principles to your business dealings. Students also get the opportunity to learn from experienced instructors and network with fellow students as well as the instructors. The total tuition cost for the program is $18,720, with a rate of $520 per credit hour. California State University, Dominguez Hills received a high score for its online MBA degree program. The program offers seven concentrations which are: General Business, Human Resource Management, Finance, International Business, Global Logistics and Supply Chain Management, Marketing Management and Information Technology Management. Global Logistics and Supply Chain Management, International Business and General Business consist of 30 units each whereas each of the remaining concentrations contains 33 units. All of the concentrations cover areas such as Multinational Finance, Leadership, Corporate Finance-Valuation Analysis, Marketing Information Management, Data Communication for Management, Compensation and Benefits, and Global Logistics Management. The program was ranked no. 6 in 2015 by Online MBA Report in the category Top 10 Online MBA programs on the West Coast. It’s ranked by CNN Money as one of the most affordable and robust curriculums in the US. The MBA in Human Resource Management concentration is approved by the Society for Human Resource Management (SHRM), whereas the university is accredited by the Western Association of Schools and Colleges (WASC). Park University is undoubtedly one of the best colleges for an affordable online MBA degree program of best value. The program is available in two formats, the 4+1 Program, Undergraduate to Graduate and the Traditional MBA. The 4+1 program allows undergraduate students in business to take courses in the MBA program. They must however have completed 60 hours of undergraduate coursework and attained a 3.0 GPA. The courses in MBA offered under this category include Corporate Management in the Global Environment, Quantitative Analysis for Management Decisions, Strategic Marketing and Managerial Finance. In the Traditional MBA format, students may choose an area of concentration from General Management, International Business, Finance, Management Information systems, and Human Resource Management. The program prepares students to become innovative entrepreneurial business leaders. They learn business theory and its application to real-world issues. The tuition rate for a credit hour is $505. The degree programs by Park University are accredited by the Higher Learning Commission (HLC). The University of Louisiana at Monroe has one of the best online MBA degree programs. The program is accredited by the Association to Advance Collegiate Schools of Business AACSB International (AACSB). Students enrolling for the MBA are required to have completed certain courses at the undergraduate and graduate level. These are Financial and Managerial Accounting, Business Finance, Operations Management, Survey Analysis and Fundamentals of Business Statistics and Operations. The curriculum taught covers Management of Information Systems, Financial Analysis, Strategic Management, Economic Environment, International Business, Accounting Analysis for Decision Making, and Organizational Theory & Behavior. Applicants for the program are required to submit recommendation letters from supervisors; personal statements that explain their ability to complete the program online, a resume that shows their employment record and satisfactory GRE or GMAT test scores. The tuition and fees for students taking 9 hours and above is $10,802. We rated Marylhurst University’s online MBA as one of the best based on quality and affordability.. The program prepares students to be competent global business leaders. It offers electives in areas of Finance, General Management, Nonprofit Management and Marketing. The finance chapter looks into corporate finance, portfolio management and effective practices for the global marketplace. The General Management course prepares you with project management skills and will equip you to become a competent, ethical leader. In the nonprofit management, you explore practices like fundraising and finance, as these are some of the responsibilities of leaders in any nonprofit organization. The marketing course on the other hand prepares you with skills in market research and communication to become a global conscious leader. By enrolling for the MBA, you get the opportunity to network and meet guest speakers from whom you can learn about real-world business. Marylhurst University is accredited by the Northwest Commission on Colleges and Universities (NWCCU). The Arkansas State University received a high ranking score to emerge among the top for best value colleges offering best online MBA programs. The Arkansas State University Online MBA is reputed for its affordability and quality. This program is designed to fit the needs of professionals who need to attain professional excellence by advancing their studies while still working. The Online MBA program addresses the challenges and areas that keep evolving in the world of business such as; the latest technology, international business, decision tools, leadership aspects and social responsibility. The Arkansas State University program is unique and beneficial since it relays emphasis on Supply Chain Management and other functional areas related to business. The program prepares one for success in a technology-driven world of business, in an international level. Admission into this graduate program requires an online application, previous college transcripts and Graduate Management Admission Test (GMAT) scores. The Online MBA program is offered under the university’s College of Business, which is accredited by the Association of Advance Collegiate Schools of Business International (AACSB). AACSB accreditation represents the highest standard of quality and less than 20% business schools receive this certification internationally. We ranked Spring Arbor University among the top online MBA schools based on a high ranking score it received. The score is based on our ranking criteria. Spring Arbor University offers quality and affordable Online MBA at very flexible terms. The Online MBA program takes about 18 months to complete. Moreover, it offers the most popular MBA concentration programs which include; Finance, Strategic Leadership, Health Care Administration, Management, Human Resource Management and Organizational Development. The admission process in Spring Arbor University Online MBA is very accommodative. GMAT / GRE are not required for admission. Only a dully filled application form is mandatory. This MBA program costs about $23,940 making it very affordable. Additionally, qualified candidates can apply for a financial aid. The online MBA program equips graduate students with skills and knowledge in solving international real-world problems by developing critical thinking, analytical skills, decision-making, and problem solving skills from a Christian perspective. An international business summit forms part of the course. The Higher Learning Commission accredits all the programs offered by SAU. Spring Arbor University was recognized and ranked among the top by the U.S. News and World Report. SAU is a member of Council for Christian Colleges & Universities. The impressive score of Delta state university ranked it among the top for colleges offering online MBA programs. The University has a history of offering quality programs that prepare students for the marketplace. Delta State University offers an integrated Master of Business Administration degree program that is designed for business professionals who are looking to improve their leadership, interpersonal and managerial skills as a way of advancing their careers. The program consists of 30 credit hours. The core units available under this program include Financial Management, Strategic Marketing, Managerial Accounting, Applied Decision Science, Human Resource Management and Managerial Economics. Students have the option of choosing between emphases in General Business, Health Care Administration, Human Resource, Entertainment Industry Studies, and Information Systems Management, of 12 credit hours each. To gain admission to the program, one must have a baccalaureate degree in business from an accredited institution. Alternatively, one may take the MBA foundation module and score an average of a ‘B’ in the following units: Theory of Economics and Marketing, Managerial Accounting and Finance, Statistics and Information Systems, and Theory of Economics and Marketing. ECPI University’s score was among the top for colleges offering MBA online programs. ECPI University offers an excellent MBA program that is designed to equip students with the managerial and leadership skills with which to navigate the increasingly complex business world of today. The university offers real-world case analyses, animated labs and tutorials, project-based learning activities, professional growth and development, and other benefits. The MBA program features a variety of concentrations such as in Business Management, Healthcare Administration and Information Technology Management. Organizational Behavior and Leadership, Marketing and Analytics, and Managerial Finance, make up some of the core units in the curriculum. Others include Ethics and Corporate Responsibility, Operations and Supply Chain Management, Managerial Economics and a Business Capstone. Units such as Healthcare Delivery Systems, Information Assurance and Global Management Processes feature among the electives. These units bring together knowledge, theories and skills, from a variety of business disciplines to help students develop a wholesome understanding of business operations for career advancement. The university is accredited by the Southern Association of Colleges and Schools Commission on Colleges. The University of Florida MBA program was one of the first schools to offer an online degree that is fully accredited. The MBA at the university of Florida is presented in a flexible online format. It is ranked #4 in the U.S. by the U.S News and World Report and #3 in the world and #1 in the U.S by the Financial Times. The online MBA includes a 1-year option and a 2-year option. The 1-year option consists of 32 credits and costs $48,000 while the 2-year option consists of 48 credits and costs $55,000. Areas of focus are: Marketing, Finance, International and Entrepreneurship. The program is accredited by the Association to Advance Collegiate Schools of Business (AACSB). Offered by the Kelley School of Business, the MBA offered by the Indiana University covers topics such as: Business Law and Ethics, Marketing, Economics, Finance, Information Technology, Operations and Project Management. Students can also earn a dual degree with a Master’s of Science in Business Analytics, Finance, Global Supply Chain Management, Entrepreneurship and Innovation and Marketing and Strategic Management. The program is accredited by the Association to Advance Collegiate Schools of Business and is ranked #1 by the U.S News and World Report in online MBA and MS programs. Temple University offers an online MBA that is accredited by the Association to Advance Collegiate Schools of Business through its Fox School of Business. The content is available online 24/7 and extensive student and disability resource services exist to assist all online students. Tuition costs $1,296 per credit hour. Online students are considered for merit-based scholarships, corporate-partner scholarships and alumni scholarships. Ball State University offers an online MBA with a reputable faculty that has been ranked at the top in Indiana by the U.S News and World Report for faculty credentials in online programs. Its MBA program is accredited by the Association to Advance Collegiate Schools of Business. The MBA program consists of eight core courses and two electives. Core courses include Entrepreneurial Leadership, Information Systems, Statistics and Quantitative Methods, Accounting and Decision Marketing, Economic Analysis for Managers, Managerial Finance, Global Strategic Management and Marketing Management. Concentrations include Entrepreneurship, Health Economics, Finance, Policy and Administration, Operations Management and Sales Management. Tuition costs $408 per credit hour for Indiana residents and $790 per credit hour for non-residents. Ranked #6 online MBA in the U.S by the U.S News and World Report, this university offers an MBA program that is accredited by the Association to Advance Collegiate Schools of Business. Its online model allows professionals to further their education without putting their careers on hold. This MBA program consists of ten core courses with breadth electives. Core courses offered include International Trade, International Business, Marketing and Globalization, Multinational Finance and Leadership in a Global Context. Tuition for residents costs $352.50 per credit hour and $1,008 per credit hour for non-residents. The University of Arizona’s Eller MBA online offers a convenient, 100% online and flexible MBA program that is delivered by Nobel and Pulitzer prize winning faculty. This degree program offers concentrations in Finance, Management and Organizations, Marketing and Management Information Systems. Tuition cost is $1,000 per unit. Online students are encouraged to take advantage of financial aid that is available in the form of federal and private loans. The North Eastern University offers an MBA in a convenient and flexible online format through the D’Amore-Mckim School of Business. Its online MBA is accredited by the Association to Advance Collegiate Schools of Business and is ranked #3 globally and #1 in the U.S by the Financial Times. It is also ranked #36 in the U.S by the U.S News and World Report. Specializations are available to allow online students to strengthen their degree. These specializations include Finance, High Technology Management, Healthcare Management, Marketing, Innovation Entrepreneurship, Supply Chain Management and Sustainability. Tuition costs $1,476 per credit hour. Capella University is an online university that is accredited by the Higher Learning Commission. It delivers quality online MBA programs. It offers online MBAs in Accounting, Finance, Business Intelligence Entrepreneurship, General Business Administration, Healthcare Management, Global Operations and Supply Chain Management, Human Resource Management, Information Technology Management and Project Management. A self-paced option called Flexpath is included to cater for each individual students needs and students are allowed to maximize on transfer credits to minimize costs and reduce the time taken to finish the degree. Tuition costs $735 per credit and online students have access to in-depth financial aid resources and counseling to assist them in financing their education. Walden University is accredited by the Higher Learning Commission and its MBA program is accredited by the Accreditation Council for Business Schools and Programs. Its MBA program is offered online with specialization options in Accounting, Corporate Finance, Communication, Entrepreneurship and Small Business, Healthcare Management, Human Resource Management, International Business Leadership, Marketing and Self-designed. Tuition costs $895 per semester hour. Students are adviced and encouraged to explore tuition reduction opportunities in addition to federal financial aid opportunities. Financial aid opportunities include federal financial aid, merit-based scholarships and special scholarships for military, college staff and alumni. Villanova University is ranked as having the the Best Online Degree Programs in the U.S by the U.S News and World Report. Moreover, it was ranked among the top 20 Best US based Executive MBA by the Financial Times. The MBA program is provided in a convenient online format. It consists of 21 courses studied over six, 14-week courses. The degree consists of 48 credit hours. Core courses include Analyzing and Leveraging Data, Corporate Finance, Business ops in the 21st century, Strategic Marketing Management, Team Leadership and Group Dynamics, Marketing and Performance Measurement and Reporting Fundamentals. Tuition costs $1,240 per credit. Financial assistance is available to graduate students. The University of Nevada offers an online MBA that is convenient and flexible to accomodate working professionals and their busy schedules. It is accredited by the Association to Advance Collegiate Schools of Business. It is offered as a 12 course program in two year cohorts. Core courses include the following: Statistics for Decision Making, Financial Reporting and Analysis, Production and Operations Management, Management and Organizational Science, Financial Management, Economics of the Firm and Marketing Management. The entire course is priced at $24,000. However, this fees is payable in $4,000 installments due each semester. Veteran education benefits exist to assist veterans in their education. This is a public institution that has received its accreditation from the AACSB. The business school offers concentrations in fields such as Finance, Health Care Administration, Marketing, Entrepreneurship, Leadership, Operations Management, Organizational Behavior, Real Estate, General Management and Supply Chain logistics. It has a total enrolment of 562 students. The cost per credit hour is $1,382 and the base program cost starts at $91,225. The minimum credit hours a student can take are 66 and the minimum time commitment per student is 24 months. This university has been accredited by the AACSB and is ranked fourth in Best Online MBA’s list by US News and World Report. The school offers the following online MBA degrees: Business Administration with emphasis in Finance, Business Administration with emphasis is International Business, Business Administration with emphasis in Marketing and Business Administration with emphasis in Supply Chain Management. The school also offers online dual degrees in Engineering. All areas of emphasis are available in the second year of the programs and they have a minimum of nine credit hours. The base tuition fee for online MBA programs is $53,900. The students are charged at a rate of $1,123 per credit hour. This is a public institution that has been accredited by the Association to Advance Collegiate Schools of Business. It has been ranked sixth in the Best Online MBA programs. The school has concentrations in fields such as Marketing Management, Financial Accounting, Strategic Management, Managerial Accounting, Financial Management, Business Economics, Global Economy and Operations Management. These require 29 credit hours. Students are allowed to choose a maximum of twelve elective credits that require 24 credit hours. Part-time in-state students pay $706 per credit and those from out-of-state pay $1,245 per credit. In-state full-time students pay a fee of $663 per credit and full-time students from out-of-state pay $1,238 per credit. It is one of the best private universities in the United States and it offers several online MBA programs to its students. All MBA programs at its business school have been accredited by the Association to Advance Collegiate Schools of Business. The programs on offer are: Master of Business Administration with specialization in Entrepreneurship,Master of Business Administration with specialization in Finance,Master of Business Administration with specialization in Marketing and Master of Business Administration with specialization in Operations management. The specializations come with core courses that include Global Economics, Managerial Economics, Strategy and Statistical Decision Making. The average tuition fees for the first two years is $44,280 and $29,520 for the third year. Financial aid is offered to students through various systems. This is a public institution and it was ranked ninth in the Best Online MBA programs list. It has been accredited by the Middle States Commission on Higher Education. The school has MBA degrees in the following areas: Accounting, Leadership, Health Care Administration, Entrepreneurship, Manufacturing and Technology Management, Finance, Marketing, General Management, Human Resources Management and Management Information Systems. The programs require 19 week courses done online. In addition to that, students are required to have a one-week residency twice in the course of their studies. A two year program at the school costs $59,312. Payment plans are availed to the students as well as financial aid and student loans. This is a public research institution that has been accredited by the Association to Advance Collegiate Schools of Business. It is regionally accredited by the Commission on Colleges of the Northwest Association of Schools and Colleges. Students who have not pursued undergraduate business degrees are required to take foundation courses. It has its concentrations in Finance, International Business, Marketing and General Management. The curriculum consists of courses in Management Innovation, Strategic Leadership and Functional Business Tools. The students also choose three elective courses. The students are provided with academic advisors and digital databases to help them with their workload. The base tuition fee starts at $29,250. The total credit hours are 39 and the charge per credit is $750. The critically acclaimed Kenan-Flagler business school at the University of North Carolina offers a top-ranked online Master of Business Administration degree program. This program has received the gold standard of any business school accreditation. It is accredited by the Association to Advance Collegiate Schools of Business. It is also highly ranked by the U.S News and World Report. This online program delivers the same demanding experience as on-campus, and it is delivered by the same world-class faculty. It takes 18-36 months to complete the degree. This allows students to finish the program around their own schedule. Unlike many other online programs, this particular program relies on video-conferencing technology in order for students to benefit from a face-face experience. The curriculum for this program is specifically designed to produce true leaders. It features real-world learning experiences, one-on-one faculty support and various networking opportunities to support students throughout their career. Tuition per credit costs $1,466 for both in-state and out-of-state students. There are various financial aid options available to students. The Turner College of Business at the Columbus State University offers an online Master of Business Administration degree program that is accredited by the Association to Advance Collegiate Schools of Business. It is an accelerated online general-purpose management degree that is of the same quality as that offered on campus. The program stresses teamwork, ethical aspects of managerial decisions and the application of theoretical business knowledge and skills in a real business environment. It prepares students for various administrative positions with emphasis placed on the following areas: human behavior, accounting, marketing, operations, finance, management information systems, global business and managerial decision making. The cost of the entire program is $21,840 and it is the same for both in-state and out-of-state students. The College of Business at the University of North Texas offers a number of fully online Master of Business Administration programs that allow students to complete their background, concentration courses and MBA core all through an online platform. The Master of Business Administration programs consist of 36 hours of coursework that include 18 hours of concentrations and 18 hours of core classes. Students can major in Finance and Marketing. Accelerated options also exist that allow students to major in Strategic Management and Organizational Behavior. The curricula for these programs are designed to provide excellent conceptual business skills and give graduates a well-rounded business education. Skills such as team-work, communication and ethics are emphasized. These programs prepare students for careers as: Manager Public Relations, Marketing Consultant, Merchandising Specialist, Business Analyst, Financial Consultant and Mutual Funds Manager. The Master of Business Administration offered by the Lee University is designed with a focus on experiential learning and has a curriculum with the aim of applying theoretical business studies to real-world business problems. It prepares graduates that are equipped to lead the future. It offers two delivery options: A hybrid format, and a fully online format. The hybrid format combines the flexibility of an online platform with the personal engagement of classroom learning. Students of the hybrid program are required to meet once a week on-campus. For students who prefer distance learning, the courses are also available fully online. Either way, the entire program must be completed in less than two years. The course curriculum explores topics such as Organizational Management, Business Modelling, Marketing, Operations Management, Accounting, Legal and Ethical Issues in Business, Strategic Management and others. Tuition costs $14,280 per year. Financial aid options are available. The Washington Adventist University is accredited by the Middle States Commission on Higher Education. The online Master of Business Administration program provides students with knowledge on the advanced business theory and practices. Students complete a well-rounded curriculum of thirteen courses ( and 37 credit hours) that provide opportunities to hone and perfect advanced business skills that are relevant and applicable to business situations in the real world. There is an option for a condensed program format that allows students to complete this program in as little as one year and enjoy the added convenience and flexibility of flexible online learning. Students of the program cover key business topics such as: Managerial Accounting, Management Communications, Financial Accounting, Decision Sciences and Statistics for Managers, Managerial Economics, Operations Management, Corporate Finance, Group Behavior and Team-Building, Managing Human Capital, Developing Ethical Leadership, Strategic Management and Marketing. Tuition costs $465 per credit hour.